I haven’t been in *years*, but I loved visiting Sunstone Winery, which is in those parts. I live in the Santa Ynez Valley and hope I can help out a bit….enjoy your visit! 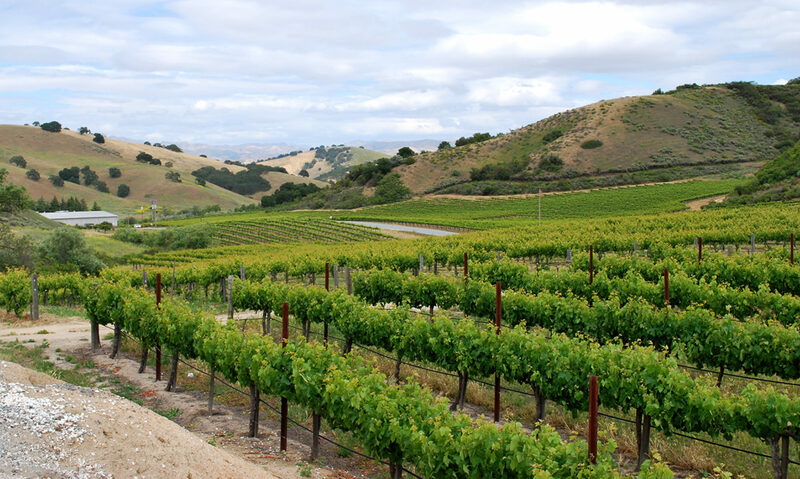 As far as Paso Robles- I can recommend a bus service – The Wineline- to take you around if you need. Hear really good thinga about a place called Chicos Cafe (834 11th street) for american breakfast and fish at night (??). In the Santa Maria Valley- you can take Betteravia rd EAST and it will link you to the “Foxen Canyon Wine Trail”, which will end in Los Olivos/Santa Ynez Valley…..Besides getting you to one of the prettiest areas around- exactly 1 mile E from the hiway 101 is a taco truck serving great sandwiches- the ladies here are wonderful. For $5-$6 you can eat a wonderful lunch! Oso Flaco is a nice diversion, off the 101 West of Santa Maria- a brackish lake with a boardwalk to the ocean- google it- worth a stop! On the 101, south of Santa Maria- a small town of Los Alamos- a few antique stores and a biker bar, plus a tasting room or two… but the best reason to stop in on Fri Sat & Sun night Full of Life Flatbread is open for dinner @5 pm- a MUST STOP. Also good are Twin Oaks for diner fare and Cafe Quakenbush for delicious lunches. Once in the Santa Ynez Valley- there are many options for wine. Solvang has many tasting rooms- so many you can make an afternoon of just walking around this small town. I recommend Lucas & Lewellen, Olive House, Presidio, Tastes of the Valley and Lions Peak. Lots of food- best sandwiches are at Panino- 30 great choices and salads too. In Los Olivos- there are many tasting rooms as well. Another place you can make a day of it without getting into your car. Andrew Murray, Tensley/Carina Cellars, Qupe- all Syrah/Rhone varietal kings. Pinot is done well at Byron and a great place called Consumable Art. Another Paninos sandwich place here- as well as Los Olivos Cafe (yum! ), Petros Greek food, Matteis Tavern (dinner only) and tri tip sandwiches at The Corner Store. Outside of town, there are so many choices- on Foxen Canyon- Foxen and Zaca Mesa are must stops- Tres Hermanas is newer and Rancho Sisquoc is a off the beaten path favorite of our- great picnic spot. On the West side of the Valley- Melville and Babcock- plus the “ghetto” in Lompoc- SeaSmoke and Palmina are names to look for. On the East side- Brander for Sav Blanc and Bridlewood for more Syrah. Great food found in Santa Ynez- Red Barn for steaks, Dos Carlitos for gourmet mexican, Grappolo for Italian, and Santa Ynez Burrito for delicious to go meals. Lake Cachuma is nice- between Santa Ynz and Santa Barbara. Jalama is a county park on the beach , south of Lompoc- camping and WORLD FAMOUS JALAMA BURGERS- 45 minutes from Santa Ynez Valley. Cold Spring Tavern- a stagecoach stop in the 1800’s- is between Santa Ynez and Santa Barbara on the 154- worth a stop. We visited several of your recommendations over the course of our road trip! I can’t wait to see what you think of our write-ups! You never steered us wrong – let us know if you ever have any other recommendations! glad to hear it, can’t wait for your next post! Previous PostPrevious We’re going to Lodi! Any tips?